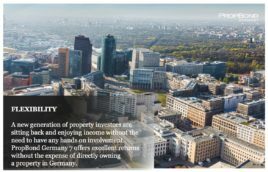 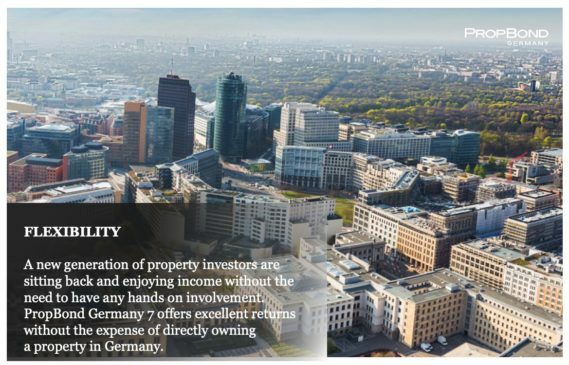 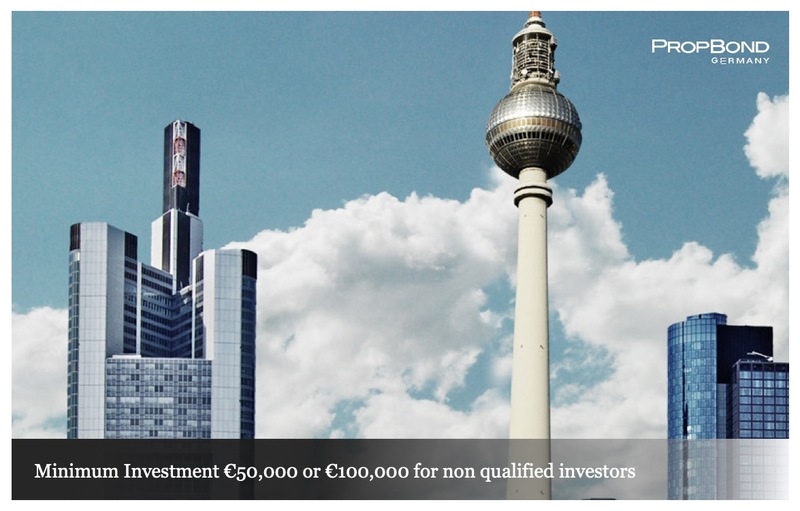 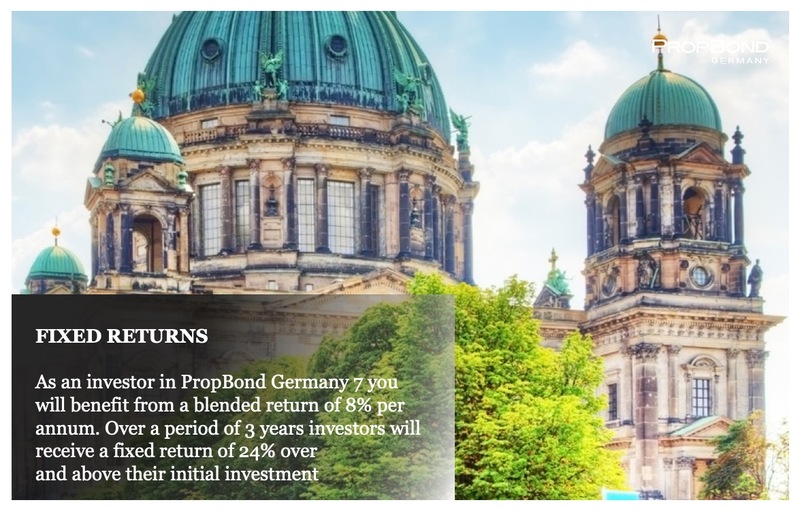 PropBond is the perfect short-term fixed income investment in Germany without direct property ownership. 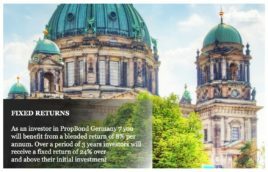 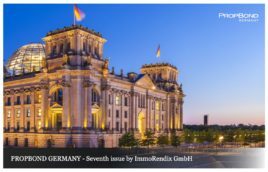 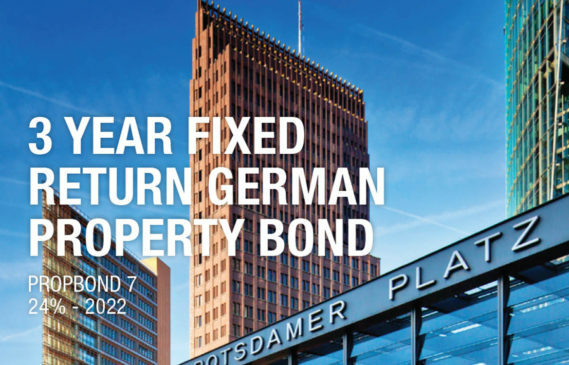 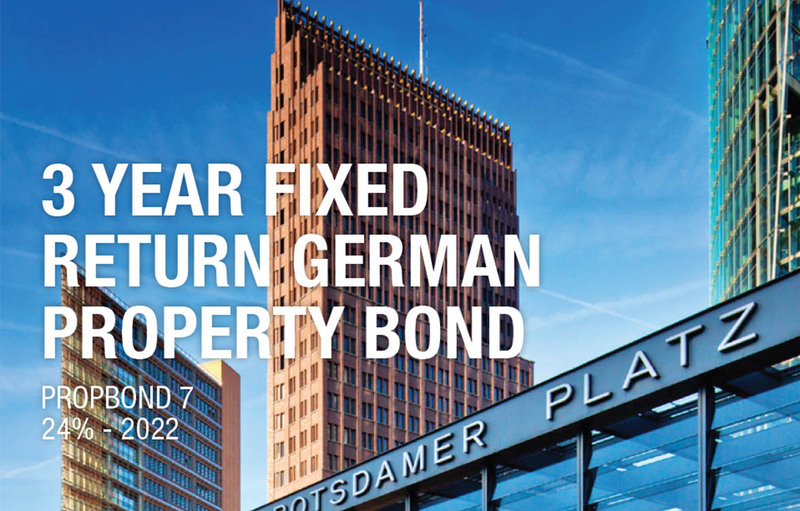 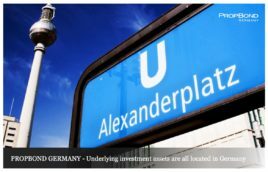 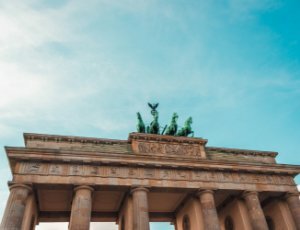 Propbond Germany 7 is the seventh issue of a successful series of bonds offered by Immorendix GmbH. 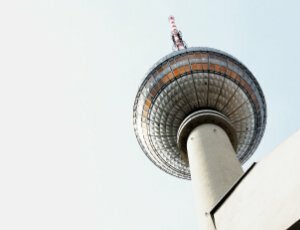 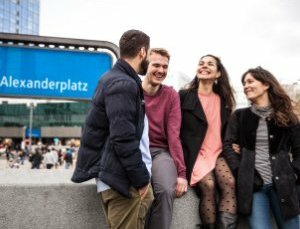 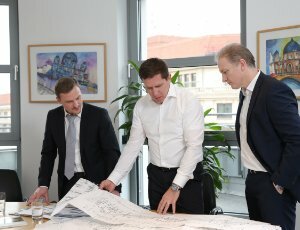 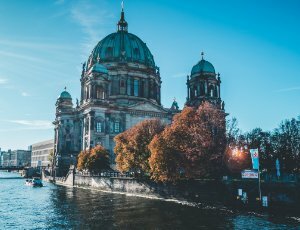 Due to continuous demand from investors, backed by the stability of the German property market and financial growth and security of the economy Immorendix is confident to continue issuing corporate project bonds to international investors and deliver high returns. 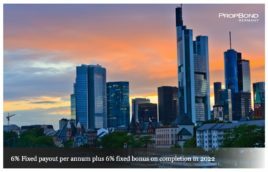 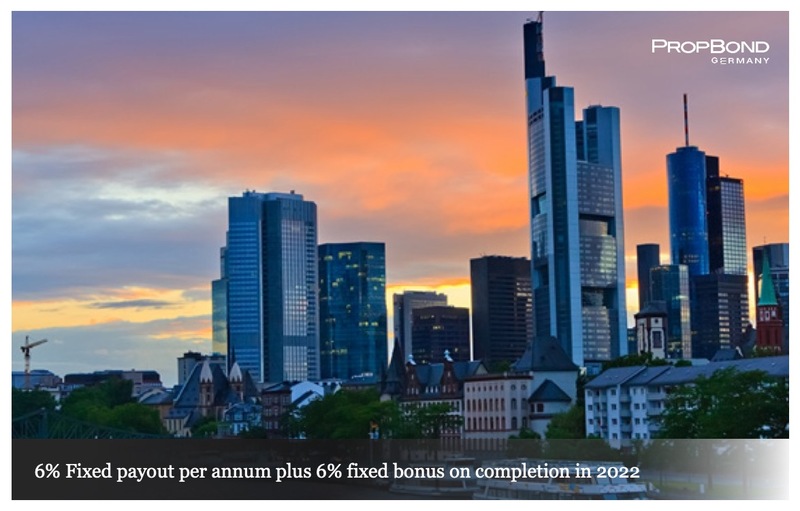 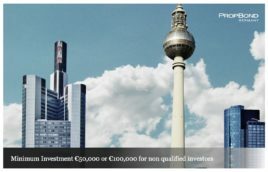 As an investor in PropBond Germany 7, you will receive an annual coupon of 6% per annum for 3 years, plus a 6% fixed bonus on completion in 2022. 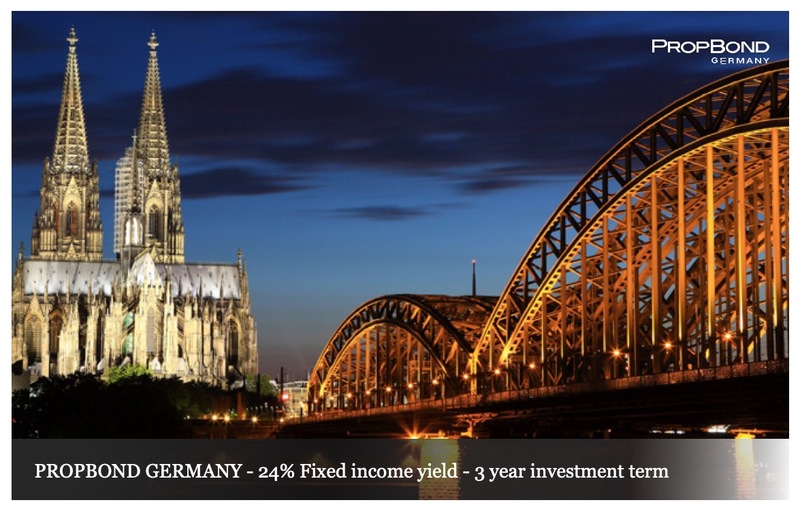 This will result in a 24% Fixed income yield during the 3 Year investment term. 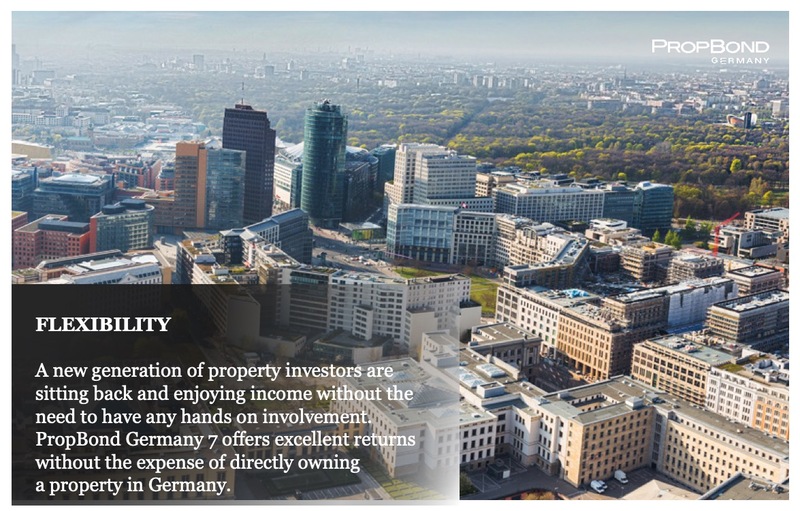 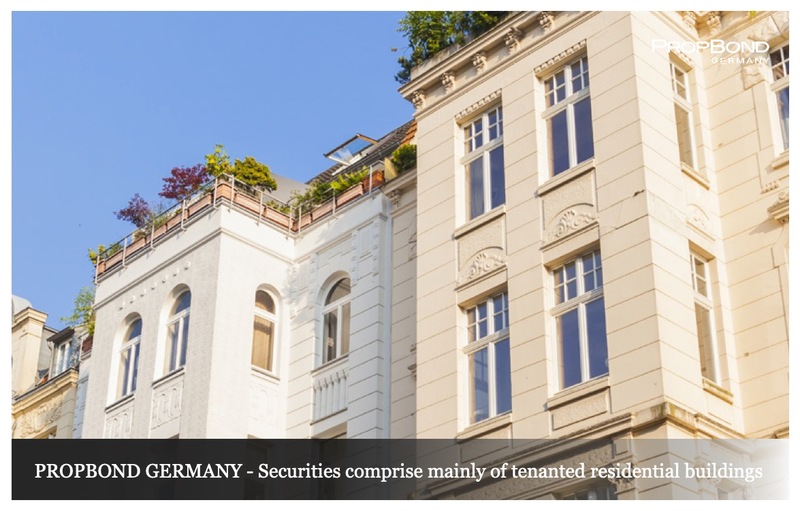 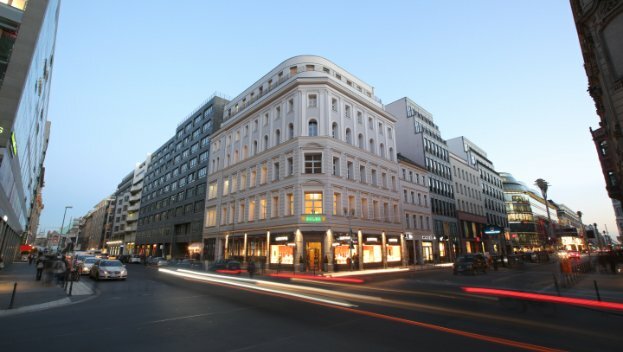 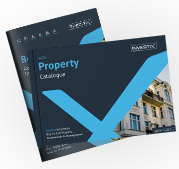 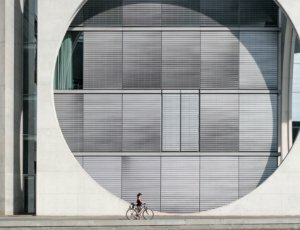 Funds are invested in German residential property and secured through a combination of land charges and share pledges. Defined exit at the maturity point, when the principal is repayable to the bondholder. Bond notes are transferable subject to issuer approval. The Bondholder shall be entitled to terminate the bond if the issuer fails to fulfill any obligation arising from the Bonds. 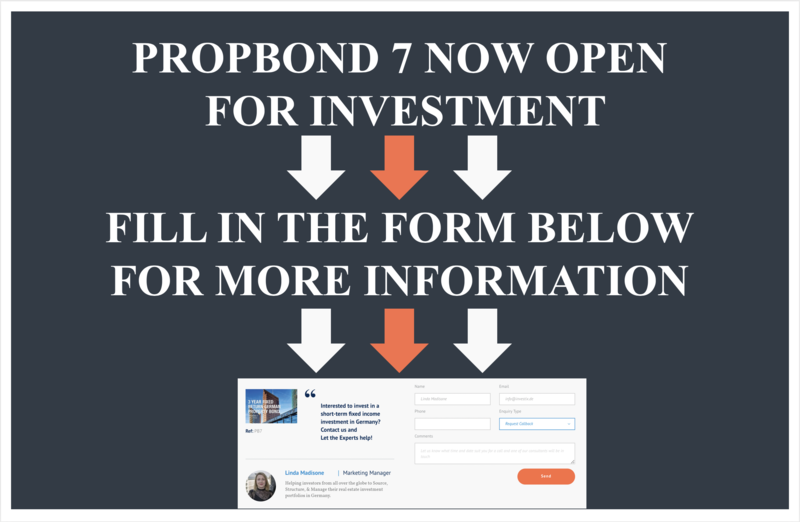 Bond interest is paid regardless of the success of the project as it is considered a priority payment. 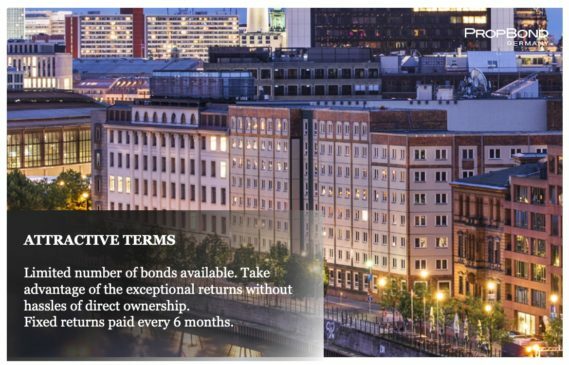 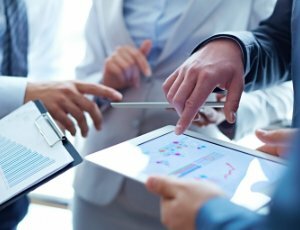 Bondholder payments are prioritized over company shareholders. 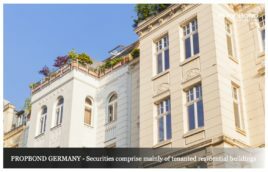 All payments overseen by a German regulated security trustee. 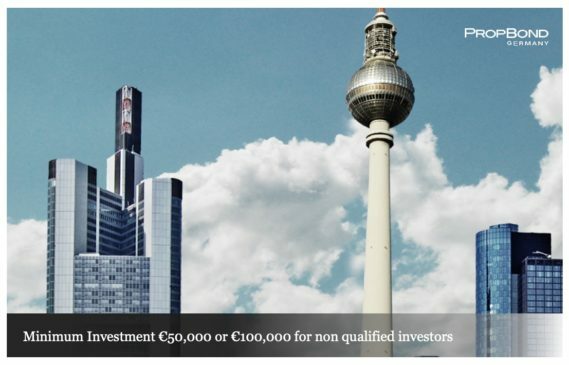 * This investment is only suitable to qualified investors or non-qualified investors with a minimum investment amount of €100,000.